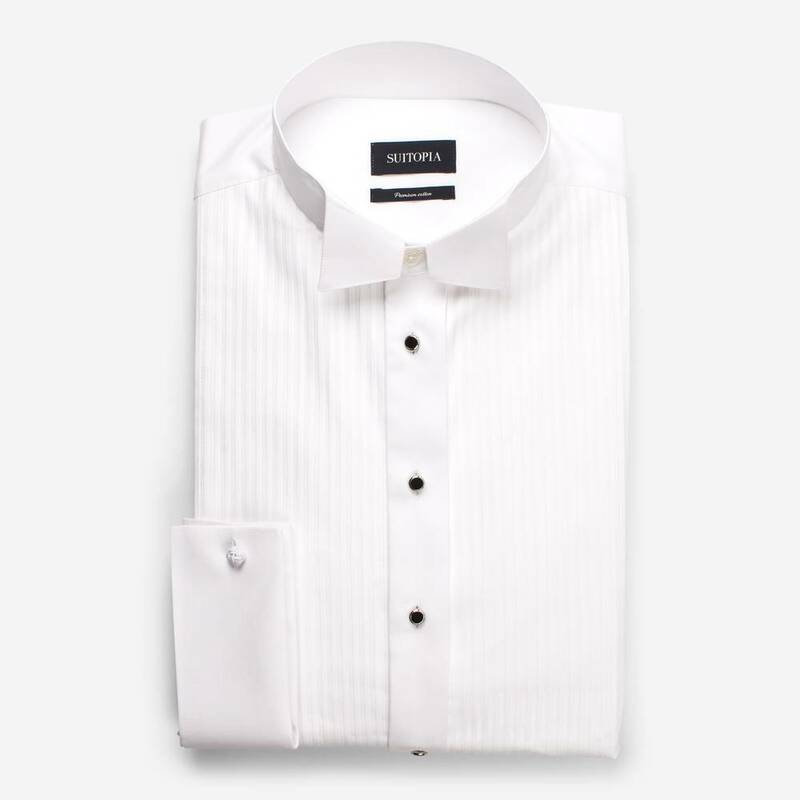 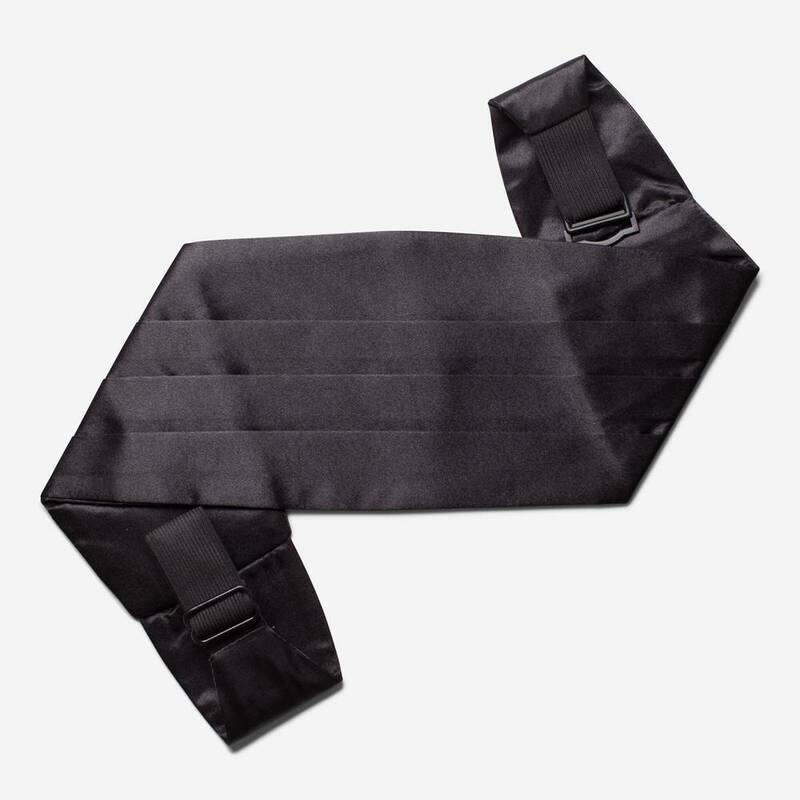 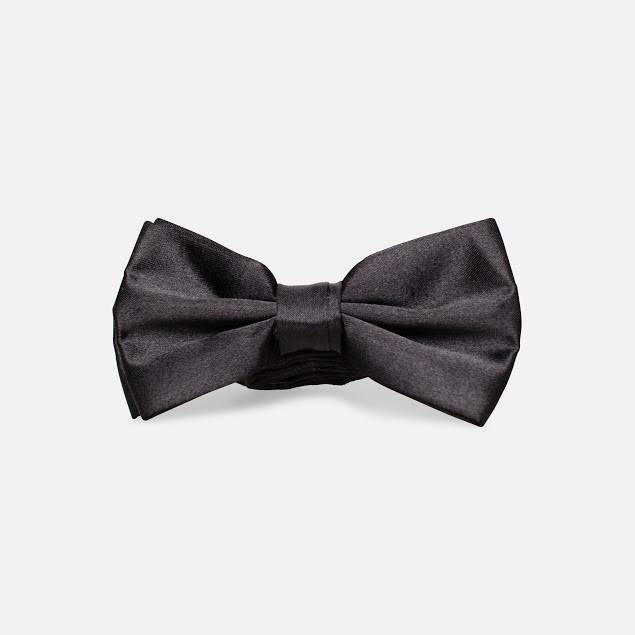 Tuxedo shirt in two-ply poplin fabric. 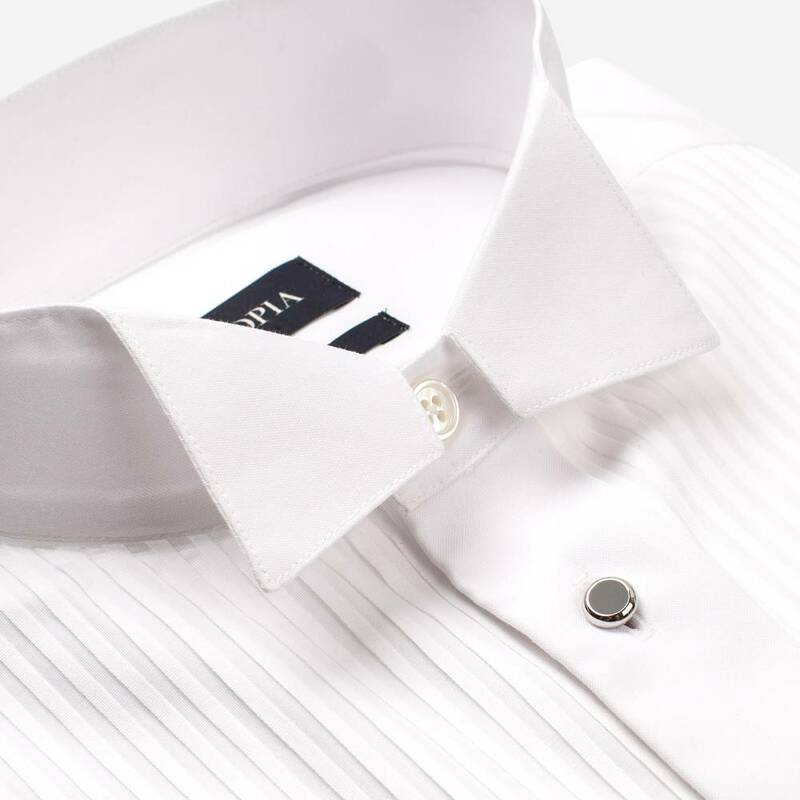 Tailored in traditional design with wing collar and placket standard, double cuffs and black pearl buttons. 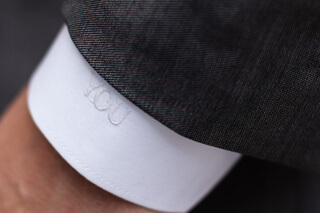 Adjust the design to your liking.